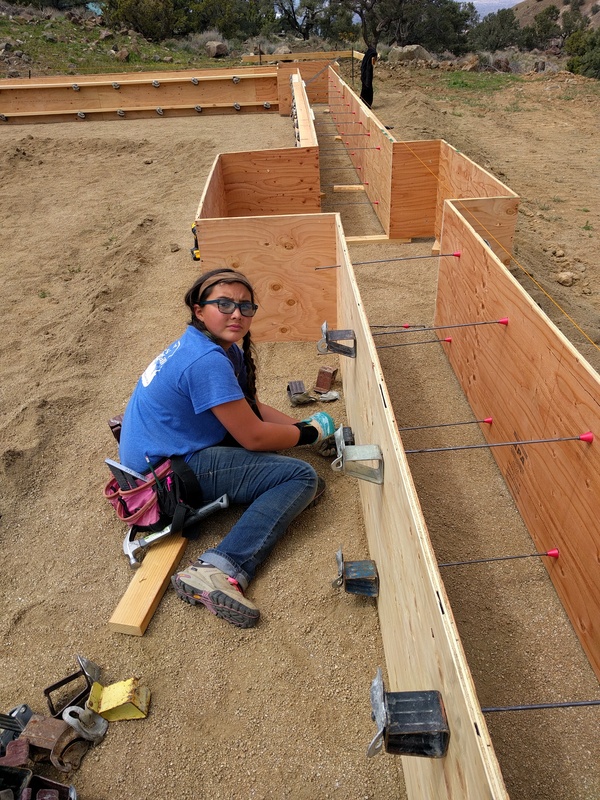 Building update – and a great wood cutting tip! 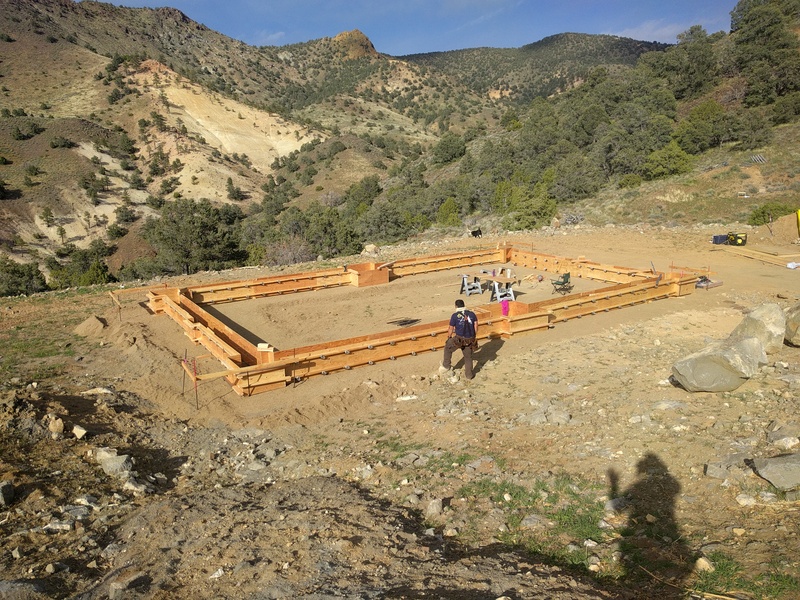 For those of you who do not follow us on Facebook or Instagram, you probably don’t know that we actually started building our house! After months and months of permit delays. And more and more months of weather delays, we finally “broke ground” on Easter weekend. Bringing in “DG” (decomposed granite) to level out the house pad. 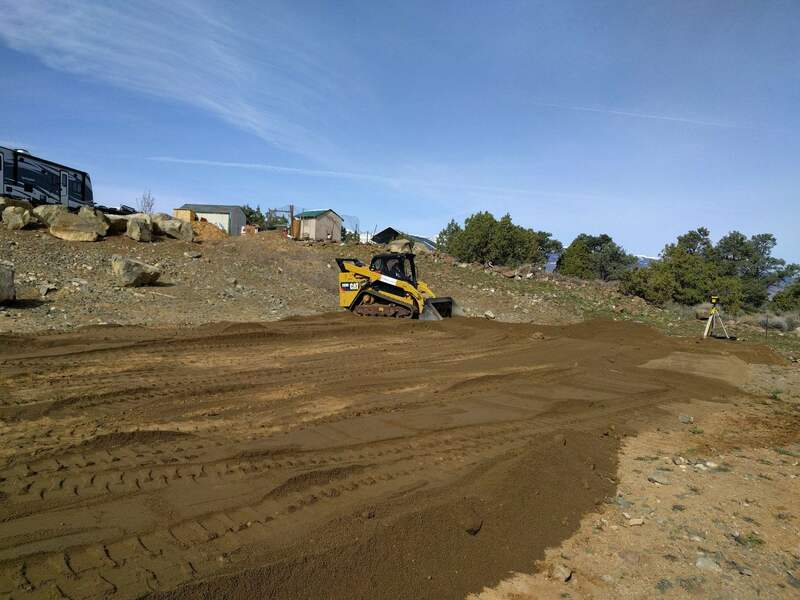 Once the pad was leveled, it was time to build the footing forms. 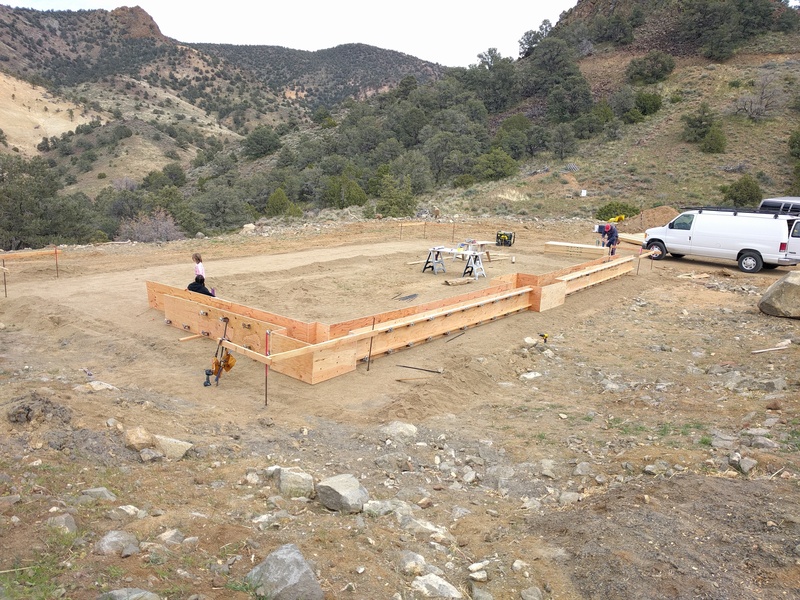 We decided to build the forms up and backfill rather than try to dig down into our very bouldery ground. Yes. “Bouldery.” See all those huge boulders in the above pictures? That’s what lies just below the surface up here! 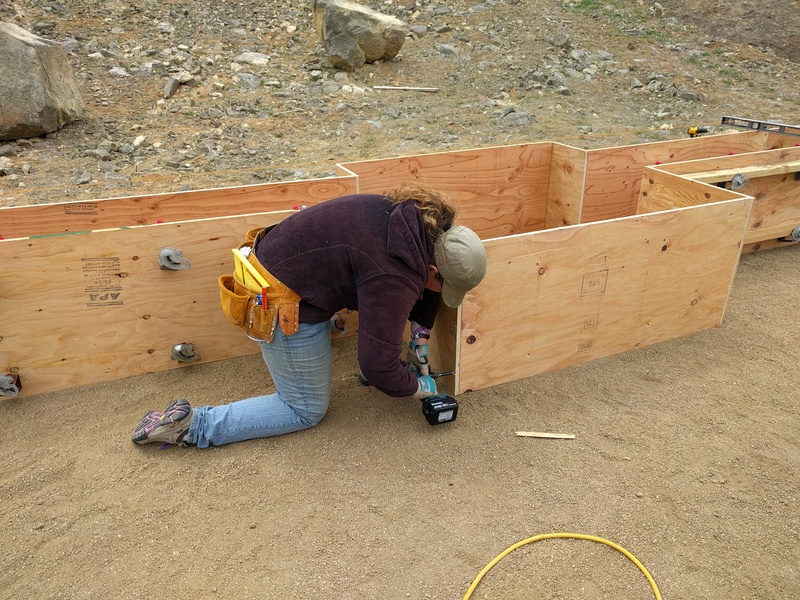 Yup, that’s me, putting one of the pier footing forms together. 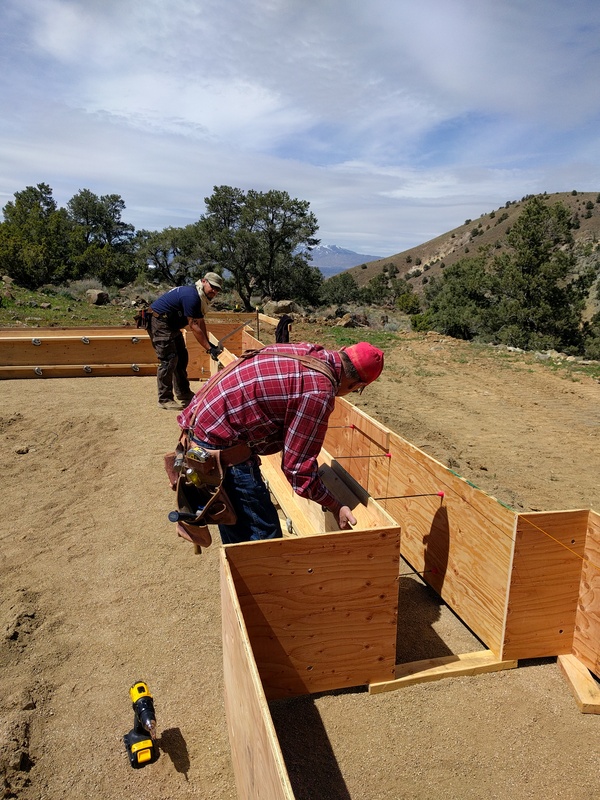 We have a family friend who is a licensed contractor who is helping us get all this right (that’s him in the red plaid shirt). We couldn’t do it nearly so well or as easily without his help. As with many things in life, it’s not what you know, it’s who you know. And we are so very glad to know him (and that he is so generous with his time) ’cause we don’t know much! The perimeter of the house footings – almost completely built. Now to do all the leveling and put in rebar, etc. It’s so wonderful to see the progress after waiting for so long. And today I learned something new. Something that makes me say, “No way!” A new way to use a skill saw! I’ve used a skill saw for 20+ years and just today learned something new. 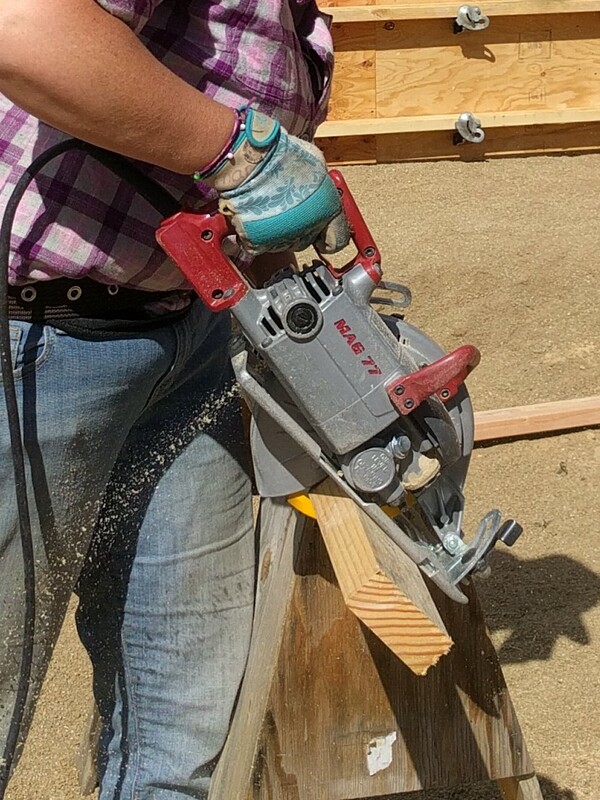 I’ve seen the pros (building contractors, etc) use a skill saw in a certain way but never knew why. Today, I tried it and was blown away with the results! 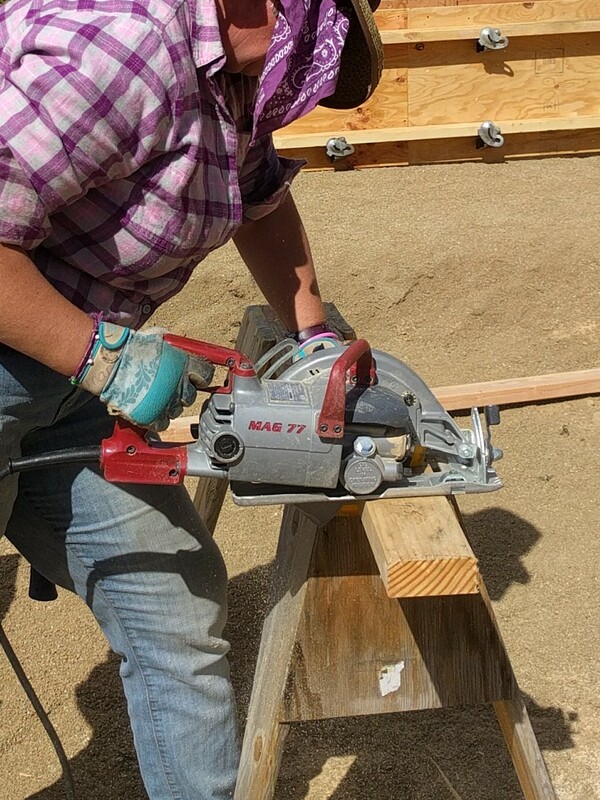 The old way: you lay the 2×4 flat on the sawhorse(s) and hold it with one hand while pushing the saw across the wood. All the while, the force of the saw pushes against the board and it is hard to hold it still. In order to hold the wood still, you can use a clamp, but that takes a while to put in place and remove, and when you’re making a bunch of cuts as I was today, they are too cumbersome to use. I’m not sure what made me think to try something new, but I figured, what could it hurt? The new way: So, I turned the 2×4 up on it’s long edge at about a 45 degree angle and the saw cut through so easily, I was shocked. I had no trouble keeping the saw on the cutting line, and the weight of the saw pushed it’s own way though the wood. The new way: turn that wood up on it’s edge! 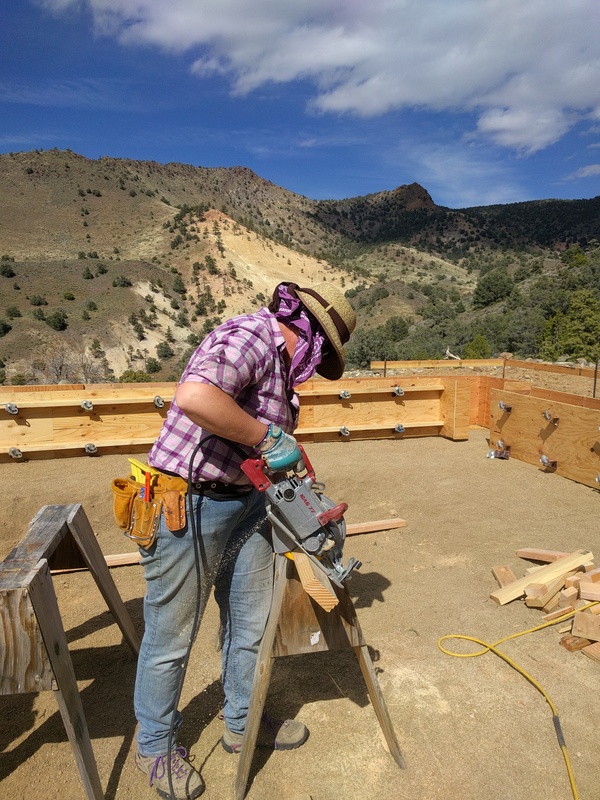 The wood rests on the sawhorse and the force of the saw is pushing downward rather than across, so the board doesn’t move around. This technique will make the thousands of cuts I’ll be making over the coming months that much easier. Just goes to prove that it’s never too late to learn something new. 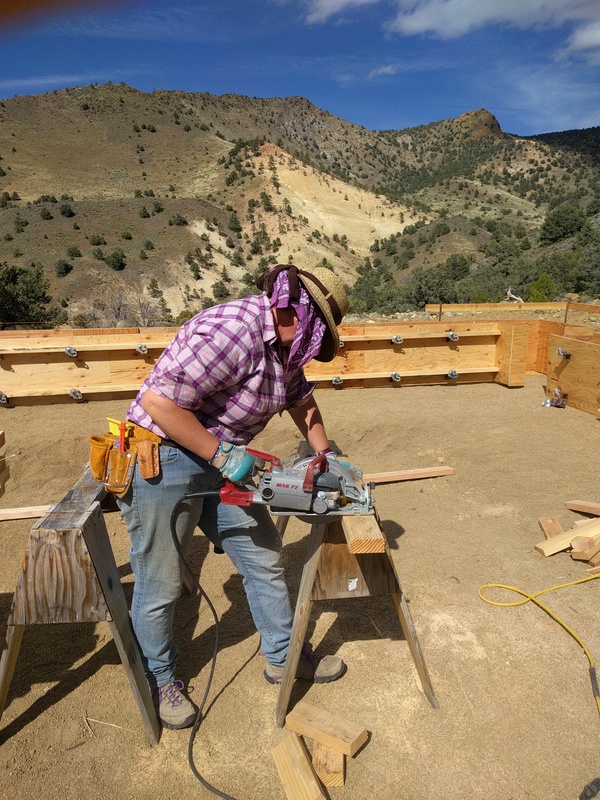 This entry was posted in Building a Home, No Way!, Skills and tagged Building, Construction, Dirt, Homestead, Homestead Kids, Homesteading, no way!, Off Grid, skills on April 27, 2017 by Maridy. Hi, I'm Maridy. I have many interests in life. 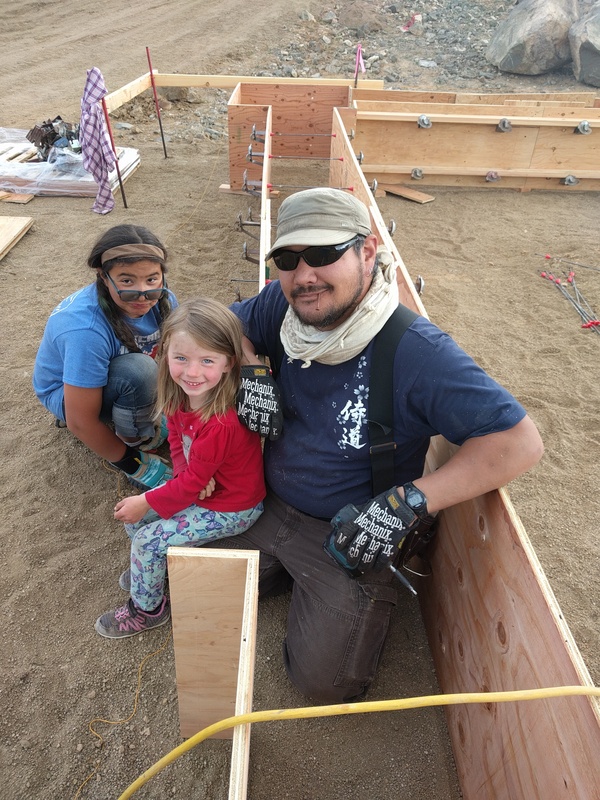 Right now, my husband and I and our two girls (ages 12 and 5), along with a couple of dogs currently live in a 33ft trailer while we build our house on our homestead property in Northern Nevada (Castle Rock Homestead). 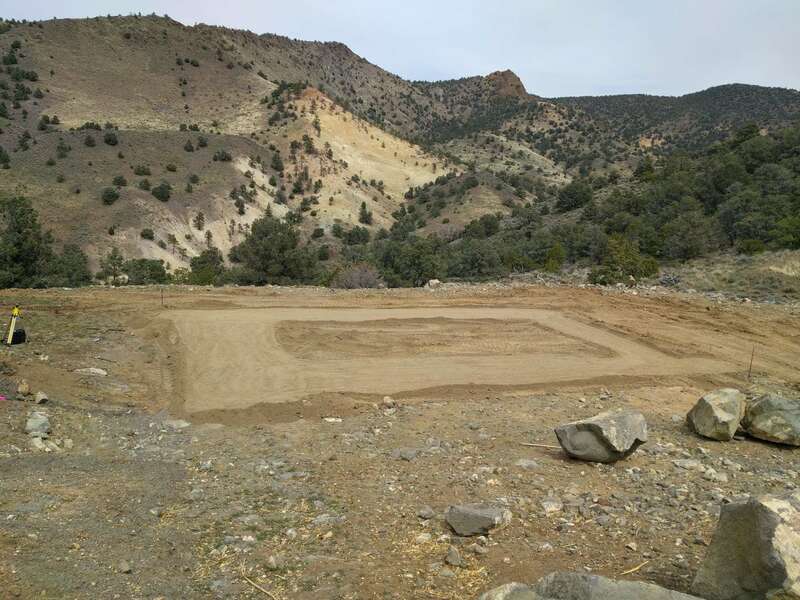 Follow us on that journey to building our high desert homestead from the ground up! I also have a passion for hiking and have a blog for that, too. (Journey in the Wilderness) Join me there as I explore the beautiful outdoor landscapes of Northwestern Nevada and Eastern California. And finally, I love historical costuming. Though I haven't been able to do much of that in recent years, I'm hoping that "once the house is built" I'll be able to get back into it more. See what all we've done with that on my Yesteryear Productions blog. Oh my, this is so exciting! Let me tell you, your view is going to be awesome! Thanks for the tip about cutting wood… I never knew! Keep those pictures coming, I love each and every one.